Canto Ostinato by Simeon ten Holt – Dutch Composer | Marbella Marbella – Adelante! Canto Ostinato was composed by Simeon ten Holt a Dutch Composer of note who died 25 November 2012 in Alkmaar, the Netherlands, aged 89. To celebrate his contribution to Dutch and international music we at Marbella Marbella Adelante, have taken this moment to present the above video of one of his best known works Canto Ostinato as as celebration of his talents and musical ingenuity. 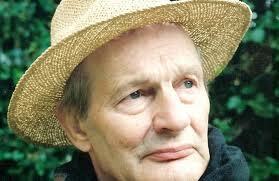 Simeon ten Holt born 24 January 1923 was a Dutch contemporary classical composer. He was born in Bergen, North Holland, the Netherlands, and studied with Jakob van Domselaer, eventually developing a highly personal style of minimal composition. Van Domselaer’s influence on ten Holt’s musical philosophy was considerable, with the younger composer picking up van Domselaer’s interests in the links between music and visual art, in music’s relationship with mathematics, and in the use of the piano as a principal instrument in his compositions.